You are going to love how these stars pop out of this stunning batik quilt top. Finishing 90'' square, this quilt features various star blocks and floral applique. This Block of the Month program runs for 9 months for just $24.99/month. Handful of Scraps, the new book from Edyta Sitar of Laundry Basket Quilts, is here! 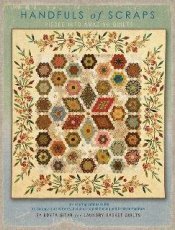 Featuring 36 inspiring antique quilts, 15 scrappy quilt patterns, this is a must have book. In this book, Edyta will show you how to use those pretty fabric left overs you've been holding on to for just the right project. Pick one up today. Harriet Hargrave Is Here Next Week! This is the last time Harriet Hargrave will be teaching here in McKinney for the foreseeable future, so don't miss your chance to learn from one of the industry's greats. 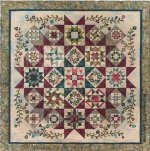 She'll be teaching a variety of workshops that range from beginning precision piecing to machine quilting and applique. If you have been wanting to take one of her classes, this is the time to do it. Focus on how to achieve quality workmanship and precision sewing based on the principles of Quilter’s Academy. Harriet has condensed her two-day Quilter’s Academy I class into one session. Don’t worry, no techniques or tips have been left out! Think of it as more bang for your buck. This is an excellent opportunity to hone your piecing skills. Enroll today. This two-day workshop combines techniques found in Quilter’s Academy II and III. Many skills will be covered as you construct the class project piecing four different triangle technique blocks surrounded by perfect 1/4” windowpanes. Enroll today. Enjoy learning true, professional technique for beautiful machine applique. Giving an appearance of hand applique, Harriet’s invisible machine applique technique gives you instant gratification. Enroll today. Considered the expert in Heirloom Quilting on your home machine, Harriet will instruct you on the techniques of free motion quilting. Enroll today. Classes are filling quickly, so sign up today! September is just around the corner, can you believe it? Several of our teachers are starting new clubs this quarter, so make sure you add them to your calendar. MJ's Tips & Techniques From An Expert club will be making the Lone Star/Radiant Star quilt over their next three meetings. This is a great time to join them if you've been wanting to make this bucket list quilt. MJ is adding a Building Blocks II club in addition to her Building Blocks I club. Both clubs will build upon the techniques from the previous month's block. Building Blocks I is geared toward a beginner to advanced beginner and Building Blocks II is geared toward an advanced beginner to intermediate. Janet is starting another Stitching Society group. Stitching Society II is open to new members only and will follow the same Under The Garden Moon 12-month program as the current Stitching Societies. The Emily Munroe Quilt Workshop will be a "support group" for those who are working on The Emily Munroe Quilt block of the month. Timi Ann will guide and offer tips on the making of these gorgeous blocks. Join Jill Luigs Saturday, Sept. 6, from 10 a.m. to 1 p.m. to learn how to use threads to draw a picture using your machine and free-motion quilting techniques. You'll explore different applications of threads and floss and experiment with metallic threads and flosses in the bobbin during class. Register today. Don't forget to stop in and pick up your free Row By Row Experience pattern. 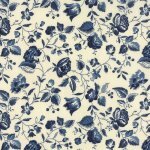 Our patterns and kits are in high demand, so we've been busy cutting kits and printing patterns. Our HAPI QLTR Texas license plate is on order, but if you prepay for your plate, we'll send it to you. You still have time to pick up your copy of the row and purchase a kit to win a prize. If you live out of state or unable to make it to the shop, you can purchase your kit that includes the pattern online, but your kit will not ship until November 1 as per the event rules. For rules and more information, visit www.rowbyrowexperience.com. We are getting geared up for the Fourth Annual Quilt Across Texas. Make sure you have your passport because the fun begins September 1 and rolls through the entire month. This year, there is an exclusive fabric panel designed for Quilt Across Texas instead of a whole fabric collection. 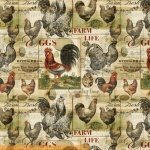 Each shop with have various projects to inspire you on how to use the panel as well as other Texas-themed projects. Quilt Across Texas is spicing up the shop hop this year with each shop passing out a Texas recipe when you get your passport stamped. At each Region 2 store, you will receive a different collectable Villa Rosa pattern when you have to have your passport stamped.